Let the oh so funkdafied hype begin! 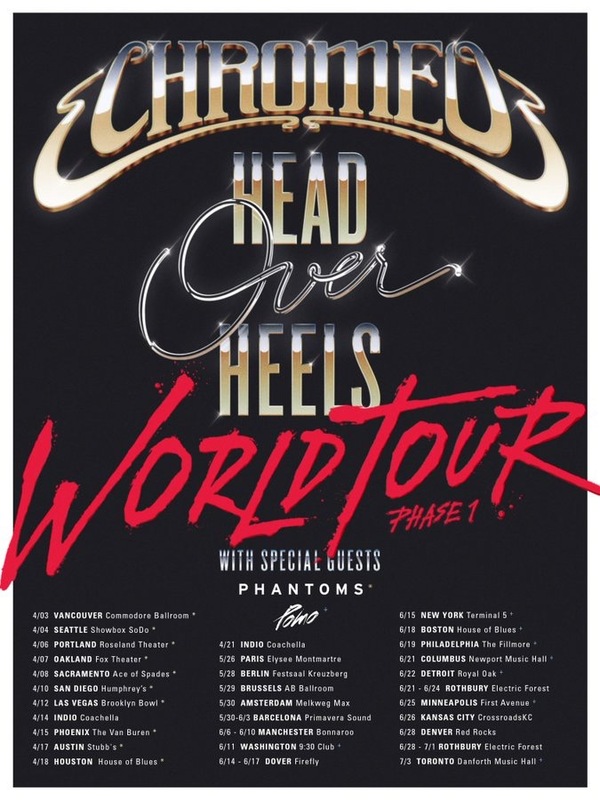 Earlier today, Chromeo released their highly anticipated ‘Bedroom Calling’ track featuring The Dream, the second single from their upcoming album Head Over Heels. Speaking on The Dream collaboration, Chromeo stated via Instagram, “We’ve been obsessed with him since Fast Car and Yamaha and been wanting to get him into Chromeo world for years”. The duo also announced the Head Over Heels: World Tour – their first tour in three years. Phase 1 of the tour is scheduled to hit 31 cities including Seattle, Las Vegas, Paris, New York, Boston, and more. The Head Over Heels Tour kicks off on April 3rd in Vancouver and concludes in Toronto on July 3rd. Special guests, Phantom and Pomo will be on hand for certain dates. One would hope that the FUNKLORDZ make a stop in the Windy City this summer – either that being a date on the yet to be announced Phase 2 of the tour or as part of a lineup of a Chicago music festival. Presale tickets go on sale tomorrow at noon (your local time), use the code “bedroomcalling”. Head over to chromeo.net to purchase.